Going as someone you know for Halloween often walks the line between funny and mean-spirited. Going as someone you used to be married to is pushing it. 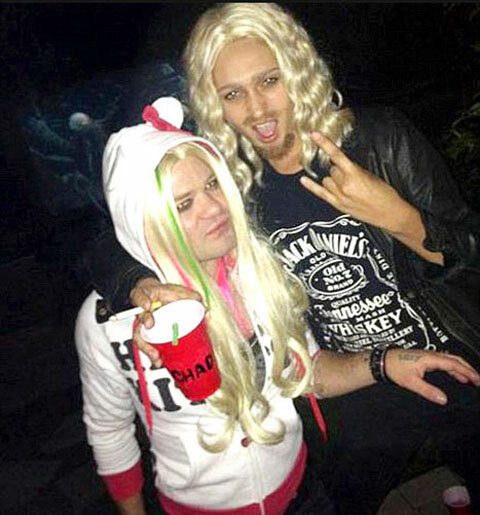 At least that’s what Sum 41 lead singer Deryck Whibley found out when he attended a party dressed as ex-wife Avril Lavigne and wound up getting clowned by her new fiancé Chad Kroeger. When the tweet was first released, many assumed it was incredibly mean-spirited, but Chad actually followed it up later with a comment about the four of them going bowling. Thus, it’s probably fair to interpret all of this as a good-natured series of one-ups. Here’s to hoping Kroeger and Lavigne scramble and put together Cooper and Whibley costumes in time for Halloween. WTF Is Avril Lavigne Doing In This New Video For Hello Kitty? Chad Kroeger And Avril Lavigne Wed, Will Their Marriage Last?